The Running Buddy was created by Julie Bradfield. Julie wanted to create a belt-free storage option that she could put more than one energy gel in. After spending over two years and over 1,000 miles of testing, the Running Buddy was created. The Running Buddy is worn on the waistband of your shorts or pants. It is held together by powerful magnets and has a dri-fit material that is comfortable against your skin. 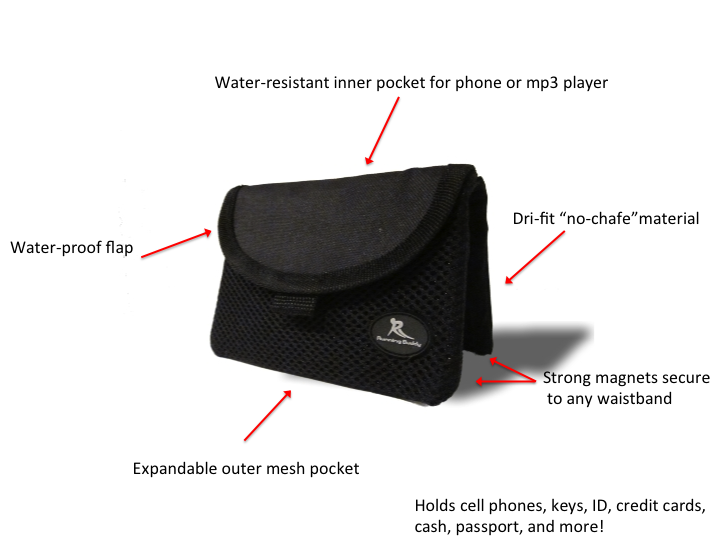 The pouch is water and sweat resistant and has a separator so you can keep your cash/cards separate from your phone. There are several sizes to choose from. I got the Galaxy Note version for my Samsung Galaxy S5 with a case and it fits great. I had initial concerns about comfort and if the pouch would stay in place when I first received it. My concerns quickly disappeared though as the magnets are very strong and hold the Running Buddy in place very well. The dri-fit backing is very comfortable as well. I took it out for my first test run and freaked out for a second after about a mile. I usually run with my phone in my pocket, which I hate. I didn’t feel my phone bouncing around and thought it had fallen out of my pocket. Then I realized that I had on the Running Buddy. I was surprised that it was so comfortable that I didn’t even realize I had it on. Now that’s a great product. 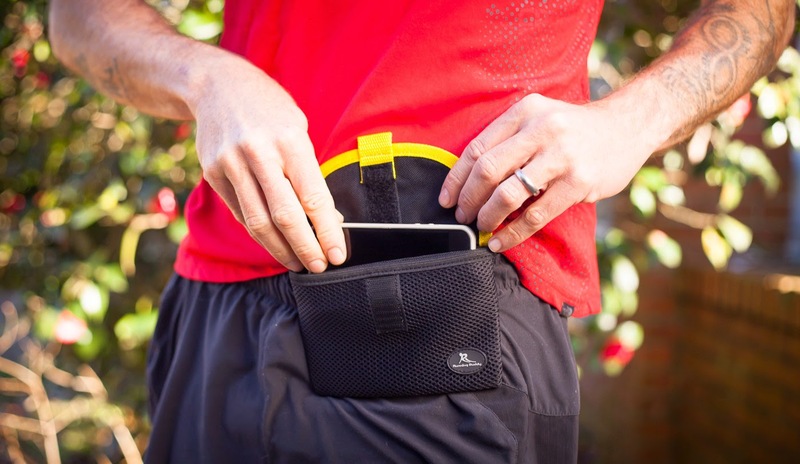 The Running Buddy is well put together and is inexpensive starting at $22.99 for pouches that will hold your phones and $13.99 for a mini version that would be great for carrying smaller items. These would be a great for women who want to take their license and cards shopping, but want to leave their purse at home. 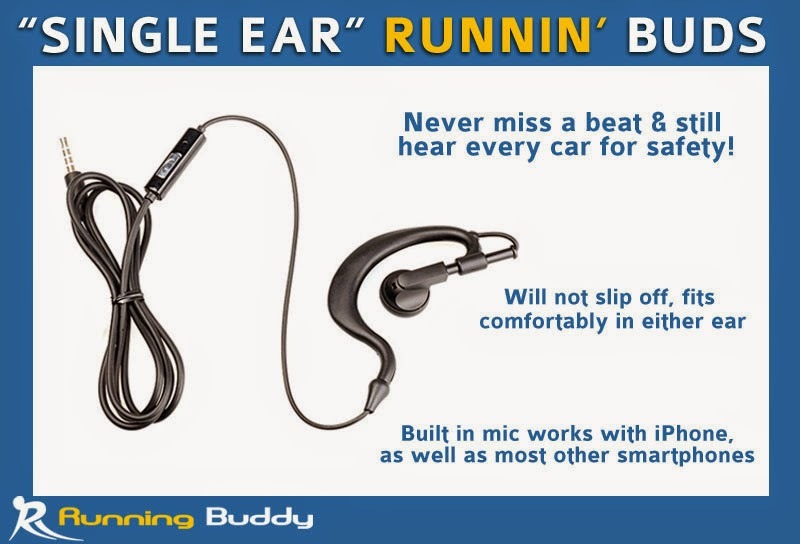 The Running Buddy also has a single earphone called the Runnin’ Buds. The Runnin’ Buds are great, especially if you run at night. It is more important to be aware of your surroundings at night and running with standard ear buds means that one is dangling around hitting you in the chest (or face). 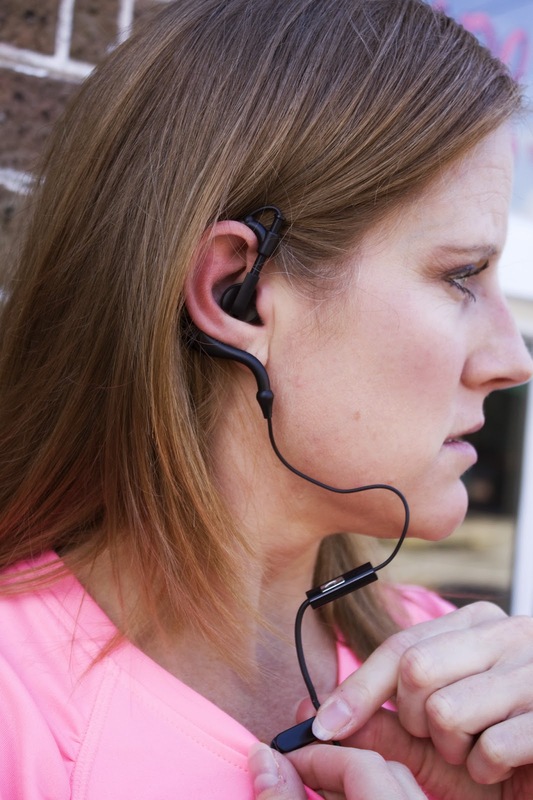 I love the idea of having one ear free from music, so you can pay attention to other runners, cyclist, or cars that are nearby. It did take a little while to get used to only running with music in one ear, but these buds work great. They have a sports style ear clip that will hold the bud securely. I found that these ear buds stay in place very well and have great sound. They also have a built in microphone so you can talk on the phone if the person on the other end doesn’t mind hearing you breathe. These are a great alternative and are priced at only $17.99. Give them a try. 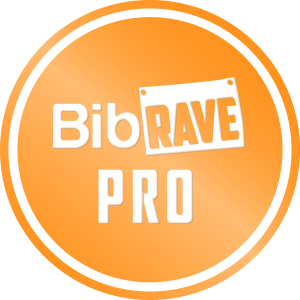 Running Buddy provided me with a discount code to give to my readers. 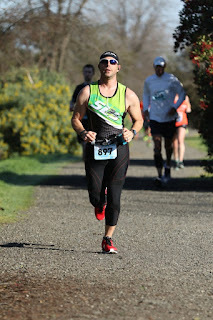 Enter the code "RB15" at checkout at www.therunningbuddy.com for 15% off your order. You can also purchase your Running Buddy products at Amazon, but will not be able to use the discount code. I will be giving away a Running Buddy in my giveaway that starts on on December 15th, so keep your eyes peeled.